The Union Internationale de Pentathlon Moderne (UIPM) today - 12th January 2017 - announced the appointment of UK-based Pro-Active Broadcast to manage and distribute the broadcast and webstream output from their World Cup and World Championship events during the 2017 and 2018 seasons. Pro-Active will be responsible for the creation and distribution of highlights programmes from all rounds of the UIPM World Cup including the World Cup Final, as well as the Senior World Championships. They will also develop and co-ordinate a Live World feed from the latter two competitions, the flagship events on the UIPM calendar, working closely with the host broadcaster hired by the Local Organising Committee of each competition to optimize coverage. Tommasina Kay, Senior Project Director, Pro-Active Broadcast, said: "This is an exciting project where we aim to raise and change the profile and interest levels in the core Olympic sport of Modern Pentathlon over the next two years. UIPM has taken great steps in the last few years and there is great potential to develop the sport as a broadcasting spectacle. Our tightly co-ordinated, multi-skilled and very experienced team will be an ideal partner for UIPM in the next stage of its development." Already Eurosport are committed to taking all available output from the UIPM and Pro-Active are now looking to build the take-up worldwide as well as increase the impact of the web streaming and social media output from each event. "The complexity of Modern Pentathlon creates a challenge of presentation and UIPM is delighted to welcome Pro-Active Broadcast on board with a view to boosting our online and traditional TV audiences.” "We have been in connection with Pro-Active for a couple of years and collaborated with them on some small projects and videos, and in those initiatives we have seen their passion for our sport and their own professionalism shine through. 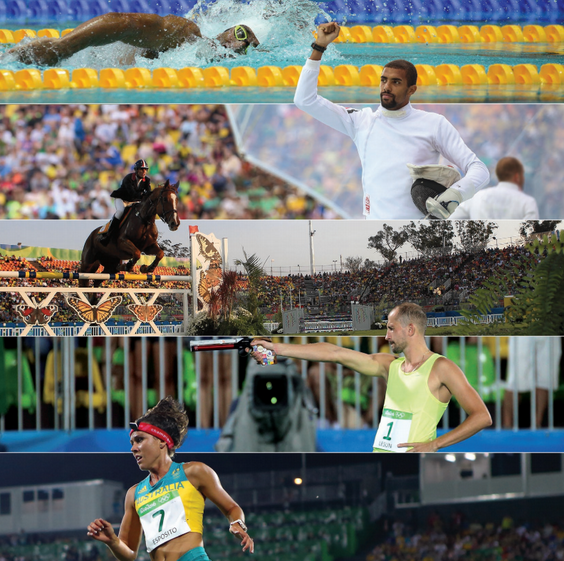 We are excited to see how their innovative way of thinking will enlighten our own thoughts about the broadcasting strategy for Modern Pentathlon and how we improve the service we provide to both existing and new fans of the sport worldwide." Pro-Active and UIPM will begin their two-year collaboration at the first round of the 2017 UIPM World Cup in Los Angeles (USA) on February 23-27.